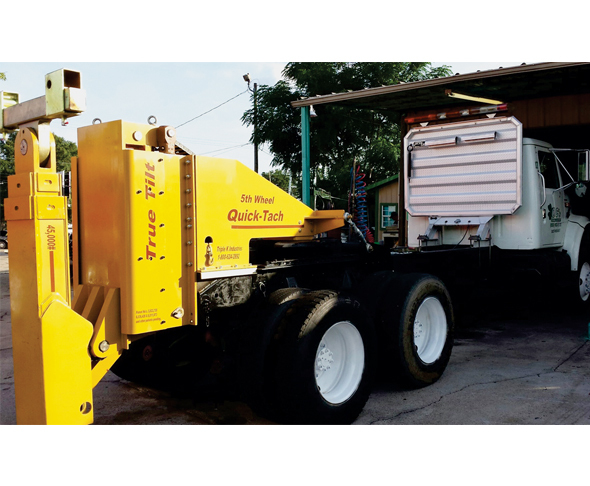 The True Tilt 5th Wheel Quick-Tach is a heavy-duty underlift that has the most extension, 160” reach, most retraction, more tilt and the most lifting capacity of any lift on the market. It has a lift rating of 45,000 lbs. retracted and 24,000 lbs. fully extended. For more information on the Quick-Tach, call 800-624-2892 or visit www.triplekindustries.com.